Pabellón criollo is a traditional recipe from Venezuela. 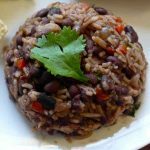 It is actually the local version of the rice and beans combination that you can find throughout the Caribbean and Central America, for example in Costa Rica with gallo pinto. It is composed of rice, shredded beef and black beans. 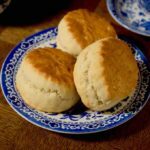 This recipe is not one that you prepare in 30 minutes. However, it is not difficult to execute. 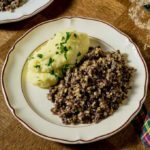 This recipe is actually a combination of 3 to 4 distinct preparations. 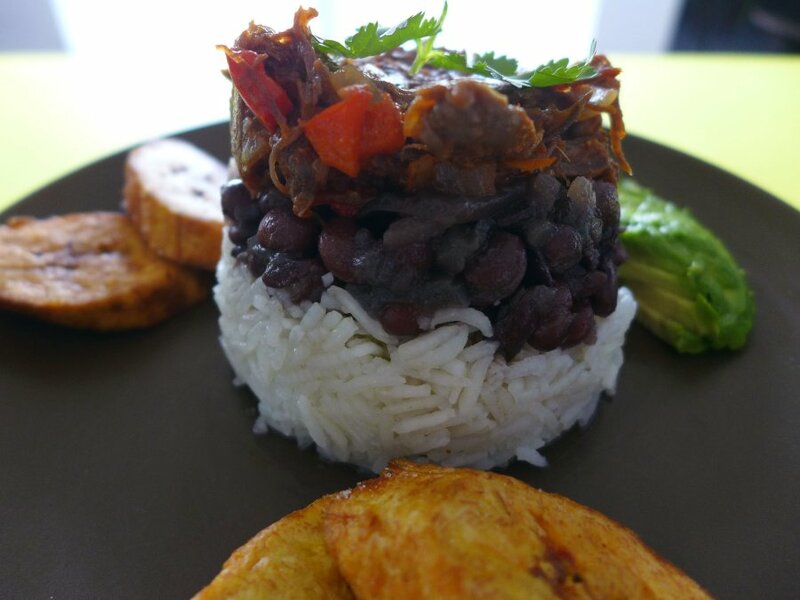 For my version of pabellón criollo, I chose to accompany my carne mechada (shredded beef) with traditional caraotas negras (black beans), rice and also tajadas (plantains). Some versions of pabellón criollo also include a fried egg. Venezuelans call the version with plantains pabellón con barandas (barriers) as plantains placed on the side are supposed to prevent other foods from falling off the plate. 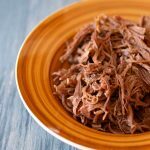 Shredded beef is a great tradition of South America and the Caribbean. It even has an unappetizing name, ropa vieja (old clothes) in some Caribbean countries such as Cuba. In Spanish, it is traditionally known as mechar or desmechar, which literally means to separate the hair. 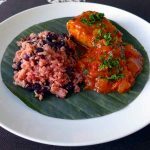 My taster this week was our maid Cecilia who tried my pabellón criollo for lunch as I had prepared this dish for our Friday night dinner. Her immediate reaction was that it reminded her of a typical Mexican and Guatemalan dish known as hilachas. All of these recipes use the same method for cooking the meat, namely first boiling it for a few hours, sometimes with vegetables such as celery and carrots, but they differ with regard to spices, ingredients and flavors used for the second part of the cooking, which asks for sautéing and simmering the meat on the stove. 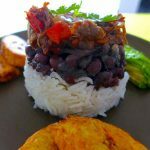 Black beans are also emblematic of Venezuelan cuisine. 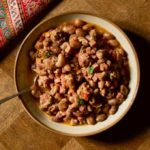 Again, preparations for the beans have various names in different Latin countries such as frijoles, porotos, judias or habichuelas but in Caracas, they are known as caraotas. The bean is really the only ingredient of pabellón criollo that is native to indigenous Latin American. Indeed, the Europeans brought beef, rice was imported from India, and plantains are from Africa. This dish is served with white rice. 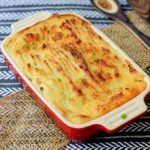 You can simply cook it the way you would normally cook white rice or as I did following a Venezuelan recipe that will give a little more flavor. 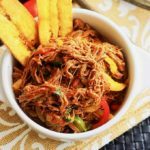 Plantains are a great side to this dish, as well as a few thin slices of avocado. 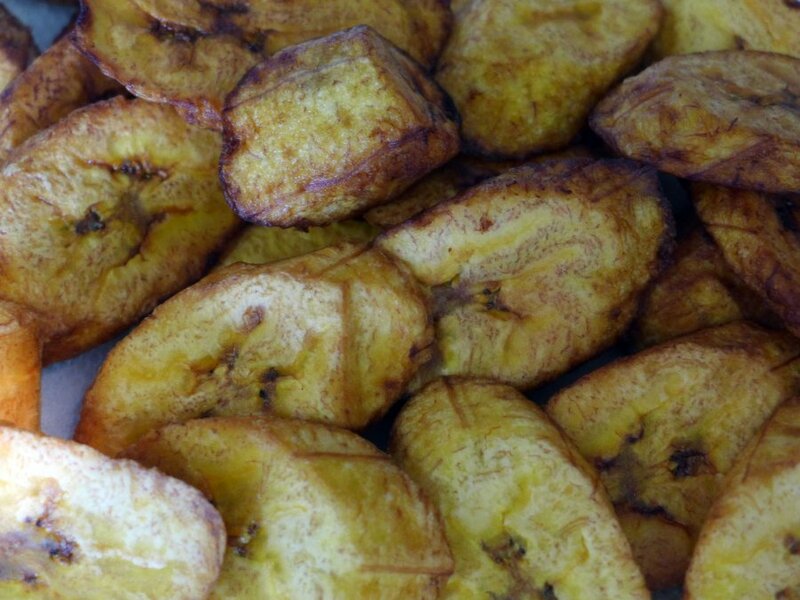 Plantains are easy to make, just sliced ½-inch thick and deep fried for a few minutes. I often cook brisket in the oven, covered in liquid with various sauces and spices. I reheat leftovers with BBQ sauce and sometimes with harissa. The result is a shredded beef that is similar to the carne mechada when it comes to texture. 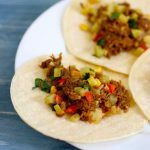 The shredded meat is tender, very easy to eat (even for toddlers), and perfectly concentrates the different spices and aromas. 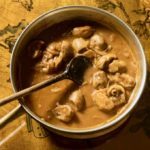 So even if the boiling of the meat is a long process (3 to 4 hours), don’t let this discourage you and adopt this method for obtaining a meat that melts in your mouth like in pabellón criollo. At home, everyone loved it, with no exception. And that’s great, because as this dish takes hours to prepare, it is better to make large quantities. Our pabellón criollo fed us the whole weekend! 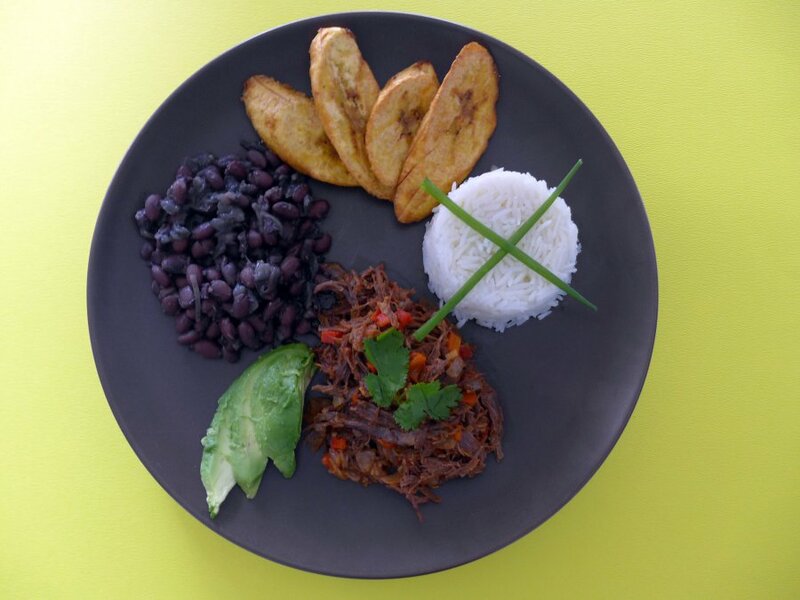 Pabellon criollo is a traditional Venezuelan dish made with shredded beef that is typically served with white rice, black beans and fried plantains. Boil the beef in a pot of water with celery, quartered onion and carrots. Bring to a boil, cover and simmer for 3 to 4 hours. Once cooled, shred the meat into strands with a knife or two forks until the beef is completely shredded. Heat two tablespoons of olive oil in a large skillet. Add the diced onions and when they start to brown, add the garlic and red bell pepper, a pinch of salt, a little black pepper and cumin. Add beef and stir for a few minutes while sauteing. Add a little water, tomato sauce and Worcestershire sauce to the meat. Stir often to bring to boil, then reduce heat and simmer for 15 minutes. In a pressure cooker, add 4 tablespoons of oil. Add ham and onions and cook until onions are translucent and ham is lightly browned, about 5 minutes. Add the garlic and bay leaf and sauté for 1 minute. Pour the water, 1 tablespoon of salt, and pepper. Close the pressure cooker and bring to high pressure. Reduce heat to maintain pressure and cook at high pressure for 25 to 30 minutes (depending on pressure cooker). If the beans are not quite cooked, simmer uncovered until they are tender. Add salt, oil, garlic, onion, bell pepper and rice in a large pot. Sauté all ingredients over high heat. When they are golden, add water. Bring to a boil, cover, and cook for about 15 minutes until the rice is tender and fluffy. Remove the pan from the heat and remove the chunks of onion. 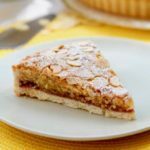 I hope you find them and make the recipe, and after eating the pulp I bite the pit to break the shell and eat the nut inside. The ones that my grandma uses are the ones that have a pinkish skin. My friend is from Caracas and she made this for me last week. I loved it so much I want to try to make it now. I made this last weekend and the beef was perfect. I actually doubled the recipe without issue. I made the beans vegetarian (so just no ham) and they were also perfect. The rice was well received. It all made me feel like I was back in Caracas, especially with the arepas that I made alongside all of this wonderful food. 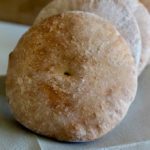 Thank you for solid easy to follow recipes. You made the cooking easy and my guests happy stuffed people when they left! Wow, I always love to hear that we help feed people and make them happy 😉 Thanks for sharing, Kate! I made this again tonight, same result. A number of guests asked about the beef (I used three packages of flank steak and effectively tripled the recipe). I cooked the beef all afternoon, so roughly six or seven hours. The flavor was very dense and I have happily passed on your recipes to them. The only thing I realized tonight that would be helpful is when I read through the recipe, it would say “add the *ingredient*” and I would have to scroll up to the ingredient list to see how much I was supposed to be adding. I do wish the amount was built into the recipe so it would be less scrolling. But again, thank you, following what you set up means such a delicious meal. I will now need to venture into your other recipes! !